This is a BOM program. Price is 19.99 per month for 10 months. 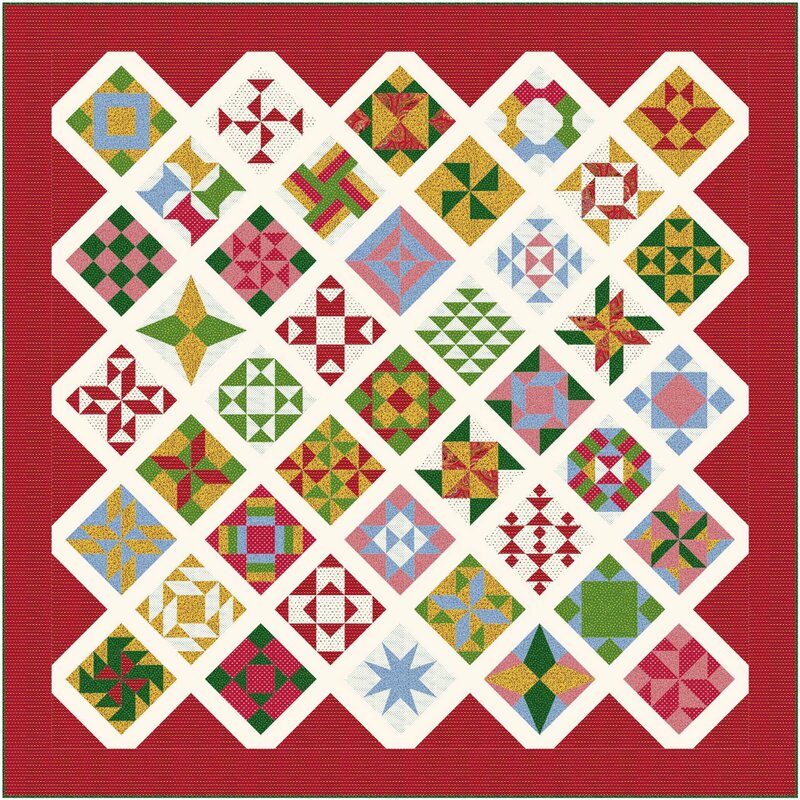 Designed by Quilt Corral co-owner, Barbara J Eikmeier, the Manzanita Grove Sampler, inspired by vintage sampler quilts, features Barb's newest fabric collection for Paintbrush Studio Fabrics. Turkey Red, Bottle green, chrome yellow, double pink and double blue are showcased against crisp solid cream sashings. Make the blocks with traditional rotary cutting, Marti Michell Templates Sets B and D, or Accuquilt GO! 8" Qubes. Each monthly kit has fabrics to make four or five blocks. $ 19.99/month includes finishing kit.